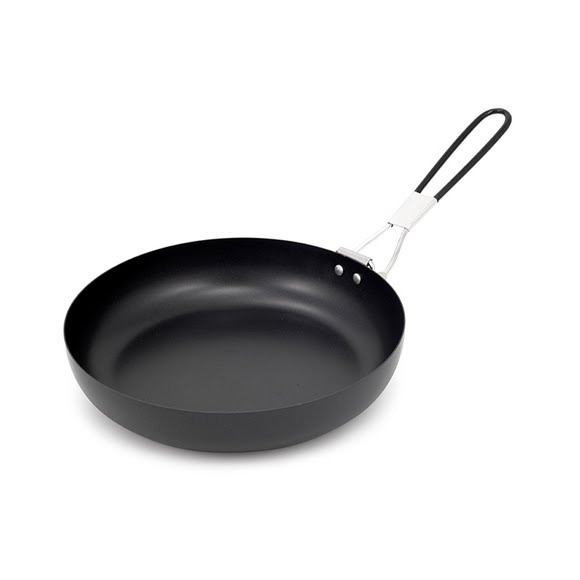 Deep skillets with easy cleaning/cooking non-stick surface. Industrial strength steel construction for even-heating and compactly folding handles for backpacking and storage. Dimensions (packed) 10.10" x 9.50" x 2.60"